When a marriage ends, it can cause a significant amount of stress on both parties involved. The decision to ask for a divorce, the actual process of the divorce, and adjusting to your new life after the divorce can cause varying levels of stress. Stress can take over a person’s life if steps are not taken to mitigate it. 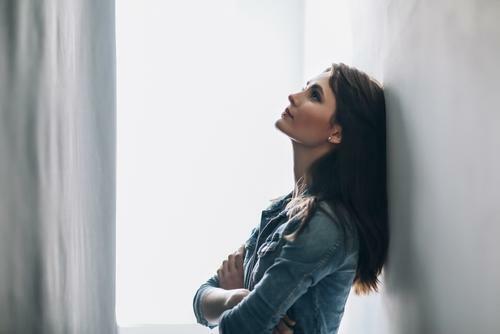 Most people have an idea of what stress is, but in order to help combat your stress, it is helpful to learn more about it as it relates to your divorce. Divorce stress usually involves two different types of stressors. There are the ones most people think about and know they will have to deal with in some form: who is going to move, losing what you are familiar with, paying bills, your children’s reaction, and starting over. Then there are the stressors which are caused by what is unknown in your life because of the divorce: what kind of settlement you will have, the division of assets and debts, finding a job after the divorce, dealing with less money, being afraid of family reactions, etc. The combination of all these factors can cause a large amount of stress in somebody who is going through a divorce. If your marriage was unable to continue and you went through the divorce process, you may not expect to be emotionally affected by your ex getting engaged or remarried. However, the marriage being over does not necessarily mean that you feel nothing for your ex at all. Whether it is nostalgia for the good times you had or for another reason, chances are good that many people feel something when they see their ex has permanently moved on with their life. It may be beneficial to you to read through some information such as the tips below to help you cope with your ex’s engagement or remarriage. Seeing social media posts about your ex's new marriage or how happy they are with their new significant other will probably cause some emotion for you. You may need to unfollow your ex on social media in order to keep those feelings out of your life. It is also not good to go to your previous spouse's social media and constantly check it. It is not going to end up helping you at all; it will only hurt you. Being with the people you love can take your mind off what is happening in your ex’s life. It can also keep you from ruminating on what could be going on or how the new relationship may have started. Not obsessing over the relationship and being with people who make you happy will give you a confidence boost and help you to remember that there is a reason that your ex is no longer in your life. Volunteer. Although you be tempted to stay at home, getting out and volunteering is an effective way to take your mind off your marital status and help those in need. Whether you volunteer at a soup kitchen, animal shelter, or local non-profit organization, you can remind yourself that life is not perfect and everyone has some type of hardship in their life. Focus on Your Children. If you have children, you should make an effort to ensure your divorce does not stop them from having fun and being happy during the holidays. Try to create a holiday social schedule with your ex-partner so that your children receive the opportunity to spend time with both of their parents. In addition, be sure to keep some old holidays traditions and create new ones. Socialize. In order to avoid feelings of loneliness and depression during the holiday season, you should socialize as much as possible. Spend time with your friends and family members, join a club, attend community events, and go to the parties and other holiday events you are invited to. Frequent socialization can help you make new friends and strengthen your current relationships. Eat Healthy and Exercise. It can be easy to disregard your health while coping with divorce during the holidays. By doing so, you can get sick and suffer from health issues that will only make this time more difficult. Therefore, you should make it a priority to eat well-balanced, nutrient-rich meals and visit the gym or exercise at home on a regular basis. Avoid Overspending. If your finances have taken a hit during your divorce, you should be mindful when spending during the holiday season. Credit card debt can add to your stress, making it crucial to create a holiday spending budget and stick to it. If you have children, speak to your ex-partner to create a plan for buying your children gifts. If you are going through a divorce, contact our DuPage County divorce attorneys for legal guidance on the process or further advice on how to cope during the holiday season. We can be reached at 630-932-9100. Learning that the other parent of your child wants to relocate is a lot like a punch in the gut. Your child, whom you may only see part of the time, could move, perhaps hundreds of miles away. If the relocation is a success, you know that you will see your child less often. The after-school stops for ice cream will end. There will be no more pickups from dance class when your ex-partner is stuck at work. Thankfully, you can attempt to stop a child relocation before it happens. The following information explains further. Unless the other parent will be moving a short distance (limits are based on state and county laws), they must notify you, in writing, of their desire to move. Included in their notice should be information on when they intend to relocate, the address to which they are planning to relocate, and the duration of the relocation (some may be temporary). That notice is also filed with the court clerk. If you consent to the move, you can file a response letter with the court, giving the other parent permission to relocate. If you do not consent, you can contest the move, which places the decision in the hands of the court. Although there are exceptions, most married couples fall under the same insurance plan. What happens, though, if the couple then goes through a divorce? Is each party then responsible for their own insurance, or is there a way to continue coverage on a spouse’s plan? Are there other alternatives for disadvantaged spouses who may not otherwise have insurance? The following offers some advice on how to manage your insurance plans after divorce, including when and how to find new insurance if you will no longer be covered after divorce. If you were covered under your spouse’s insurance plan during the marriage, you can attempt to maintain coverage under your spouse’s workplace plan through COBRA. Unfortunately, this is rarely a cost effective method for maintaining insurance; you may be better off paying for private health insurance. Alternatively, you can seek insurance through your own employer, the health insurance plan marketplace, or you can apply for Medicare or Medicaid (depending on your age). Note that your children may still be covered under your spouse’s plan, but you may be required to help cover a portion of it.